Backyard Life Blog - Because the little things in life ARE the big things! - 12345Backyard Life Blog | Because the little things in life ARE the big things! Today, I just have a couple of updates about our mission to keep the budget in line. At the end of March, we made the decision to cut Cable TV from our budget. You can read about what led up to that decision here. We bought an antenna and a Roku streaming box. Both have been very good. We started out with a subscription to Netflix for about $8 per month. We really like Netflix, but there are a couple of things that are lacking as far as we’re concerned. We like home improvement and cooking shows and I like sports. As it turns out, there is a solution to the home improvement and cooking problem. I signed up for a free 30 day trial of Amazon Prime because I needed to get something delivered quickly. With the Prime membership, you also get access to Amazon Instant Video. When I was comparing this service to Netflix at the start, I had some trouble differentiating them. I figured out the difference. There are lots of shows on Amazon that aren’t on Netflix. Amazon Instant Video has lots of shows from Food Network, Travel Channel, and HGTV. One caveat that I have to mention is that there are seasons of shows that are free and others that are paid, so you have to pay attention if you don’t want to pay extra. Amazon Prime costs about $80 per year, so that’s a little less than Netflix when annualized. With the membership, you get access to all of these shows and free 2 day shipping on Prime eligible Amazon orders. With Christmas coming up, you might want to give it a try — remember, you get a 30 day free trial. When we switched to Net10 Wireless, we upgraded from old flip phones to Android based smartphones. We have 2 of them for a total of $90 per month with unlimited talk, text, and data. At the time, they only offered up to 3g speeds, which wasn’t a huge deal for us, but could have been a deal breaker for you. They now offer up to 4g LTE coverage for no extra cost. I found out the I needed a newer version of Android to run a couple of apps, so I upgraded my phone (already…). I figured since I was already going in, I might as well see if I can get the faster speed to see what it is like. I found a Samsung Galaxy Express for $249 that I have been very pleased with so far. It runs on the AT&T system and has 4g LTE. It also has plenty of power and storage. My only issue with it is that it is kinda big and with my hands, it is difficult to use with one hand. So now, you can get a smartphone, Android, Apple, or Windows based, with up to 4g LTE speeds for about $50 per month with no contract. Not a bad choice if you ask me. The 2013 Minnesota Blogger Conference was on Saturday. 155 bloggers from around the state came together in one room to talk about and learn about all aspects of blogging. The range was quite extraordinary! There were a couple of people that have been blogging for 12 years, while over half of the room had been at it for less than 1. I got to hang out with my boy Eddie Bashaw, got to meet Kate from Kate in the Kitchen, and chatted with a friend I hadn’t seen in over 20 years! That alone was worth it, but there was so much more going on. If you want to get started blogging, here are some of the key ideas to set you off on the right foot. Authenticity trumps perfection every time. Be yourself. Use your own voice. Don’t try to be someone else because you are not someone else. Don’t be too quick to want a ton of traffic. Learn the ropes while you’re living blissfully in obscurity. If you get to the point where product reviews, sponsored posts, and guest posts are a possibility, do your homework. Make sure that you are only sharing the trust your readers give you with people who deserve it. Start with “Why.” It’s about beliefs. Process is a good thing, but why you do it and how you got there are more important than the “what”. Blogging is a great way to share your expertise, tell your story, and keep people informed. All you need to do is get started. If you are ready to take the leap and start, here’s a free 20 minute video tutorial from Michael Hyatt to get help you get your self hosted WordPress site set up. Then all you need to do is write. I started out the year with a goal of attending 2 to 3 conferences by the end of December. It’s more than halfway through September and I’ve attended… zero. That will change in October as I’ll be going to the Minnesota Blogger Conference on the 12th! The lineup of speakers looks pretty good and I’m about 99% sure I played on a baseball team with one of them when I was about 10 years old. That’s a little weird. Even better than listening to a bunch of speakers is the opportunity to hang out with some friends and meet some new people! One of the best ways to learn is to hear other people’s stories so that’s the goal. The conference is sold out, but if you’re going to be there, send me a note on Twitter @Backyard_Life. If you attend the conference or want to follow along at home, search for and use the hashtag #mnblogcon. Today’s post is from Ryan Larsen of Excursion Outfitters. With temperatures starting to dip, it’s an opportune moment to go over safety precautions for your fall and winter outdoor experiences. With the summer season coming to an end, the weather is beginning to change as temperatures begin to drop. This time of year proves to be the most dangerous time to go outside and camp. When most people think of dangers in the outdoors, they think of animal attacks or sever injuries due to stumbles. While both of these do happen, the most common danger is hypothermia. During the Fall season, outdoorsmen are accustomed to warmer weather and forget that it is much colder at higher elevations. Mix the dropping temperatures with the increase in rainfall and you have a recipe for hypothermia incidents. Despite the common knowledge of hypothermia, I am still surprised at how unprepared many outdoorsmen are when they visit when they go on extended hikes. Weather can change in the blink of an eye and your situation can go from good to bad to worse in an instant. In order to reduce the chances of catching hypothermia, there are a couple of things you can do. One of the most important things you can do to prevent hypothermia is to wear clothes that are well ventilated. It is also important to wear layers of clothing that can be shed or added according to your body temperature. The biggest threat to hypothermia is wetness. It is critical that you avoid getting wet, whether that is sweat, rain, or dew. If you do get wet, it is better to remove the clothing in order to get dry. The colder the weather, the bigger the problem of wetness becomes. Uncontrolled shivering is the first and most obvious symptoms to watch for. Uncontrolled shivering occurs when your body is reacting to the cold by shivering in order to generate heat. While shivering is your body’s way of generating heat, it also consumes a great amount of energy. 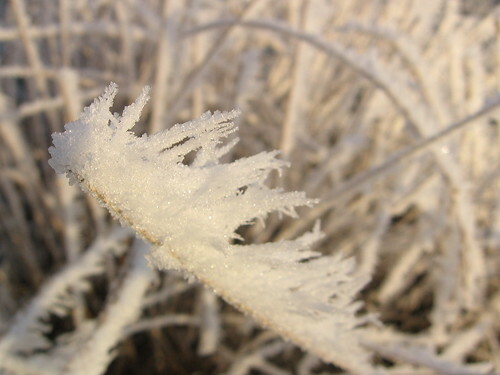 If shivering occurs over a period of time, your body’s system may begin to shut down. As this begins to occur, signs will include: loss of motor functions, stuttering, and lack of balance. If the victim losses consciousness it is becoming quite severe. If the issue isn’t resolved promptly, death can occur. The best way to combat hypothermia is by heating up the core of the body. While many people are worried about not feeling their limbs, the core of your body is the most important part. If the core of your body stays warm, you body will have the ability to warm the rest of it. The best way to get warm is to remove any wet clothing and get dry. Fires are ideal of warming the body once their dry but huddling up next to another person is also effective. Ryan Larsen is an avid outdoors man. His favorite activities include: hiking with his dogs, fishing, and camping. He loves the outdoors so much, he started Excursion Outfitters, a company that specializes in Hiking Clothes.